2017 has been a year of discovery for me when it comes to skincare and makeup! I have tried, tested and researched lots of great brands and highly recommended products. Up until this year, there were many brands I had not even heard of! In this post, I’m going to focus on some of those brands and a few amazing products I have discovered. By Terry was created by Terry de Gunzburg over 30 years ago. She studied at the Carita Beauty School in Paris and soon developed her own trademark beauty look – imperceptible foundation, impeccable lips and thick, separated lashes. However, it was her collaboration with Yves Saint Laurent that lead to her status in the fashion and beauty industry. Terry invented many products, including Touché Eclat in 1992! 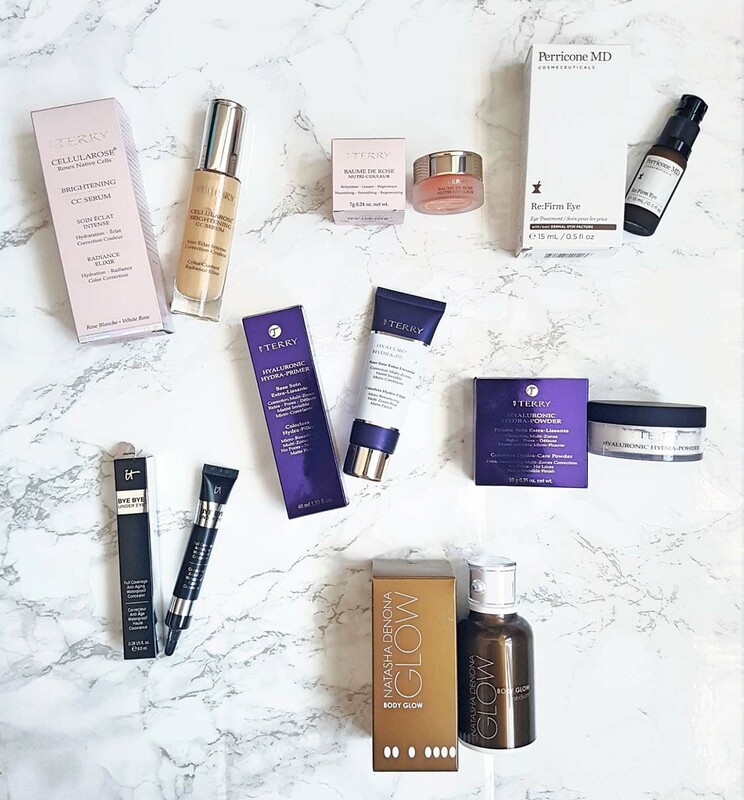 A year later, she introduced her ultra-luxurious beauty range to the market. In 2004, her most successful product was born – Baume de Rose. Then in 2012 she created her debut perfume collection and in 2015 she launched her Expert range. All her products are cruelty free. This is a colourless superfine powder which can be used day or night after foundation or skincare. It is designed to blur creases, wrinkles and fine lines and diminish pores. It can be applied with a brush or fingertips. After application, the skin feels soft and looks matte and smooth. I have used this powder many times and it does everything above! I particularly like to use it under my eyes over my concealer, as it completely hides my fine lines and makes my skin look flawless without any caking. This is also a colourless product which is applied before makeup. It has an unusual texture, in that it is a cloudy gel-like consistency and when applied it melts into the skin! It blurs imperfections, blemishes and pores and you can visibly see the difference in the appearance of the skin. Makeup then applies smoothly over the top, leaving a flawless base with no dehydration of the skin! This is by far one of the best blurring primers I have ever used and works perfectly with the partner powder! Given how iconic this product is I had to test it! The version I bought is Coral Stellar which has a peach tint and a lovely scent. It is a light, silky texture which glides onto the lips leaving a pale peach shine! It feels hydrating and nourishing after application and looks great alone or over other lip products. Having used the balm a few times now, I definitely recommend it as a luxury lip product, especially for night usage when it can really soak into the lips! This is simply gorgeous! 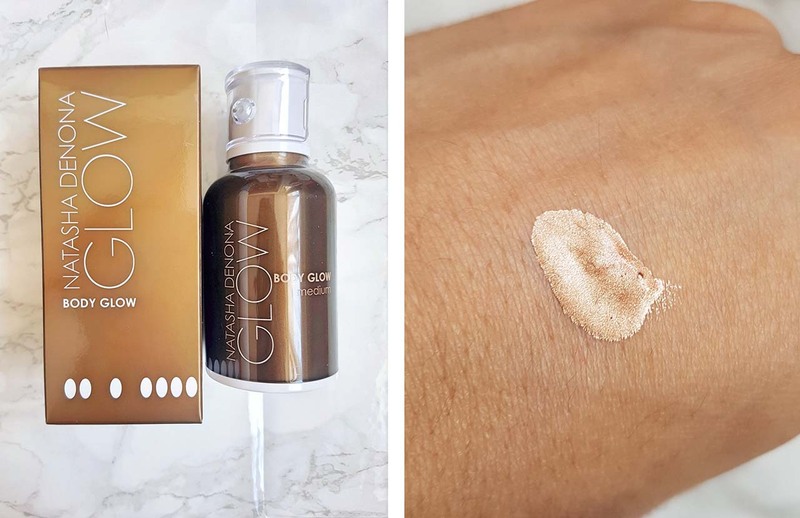 I bought the Apricot Glow version and it is now one of my staple pre-makeup products. 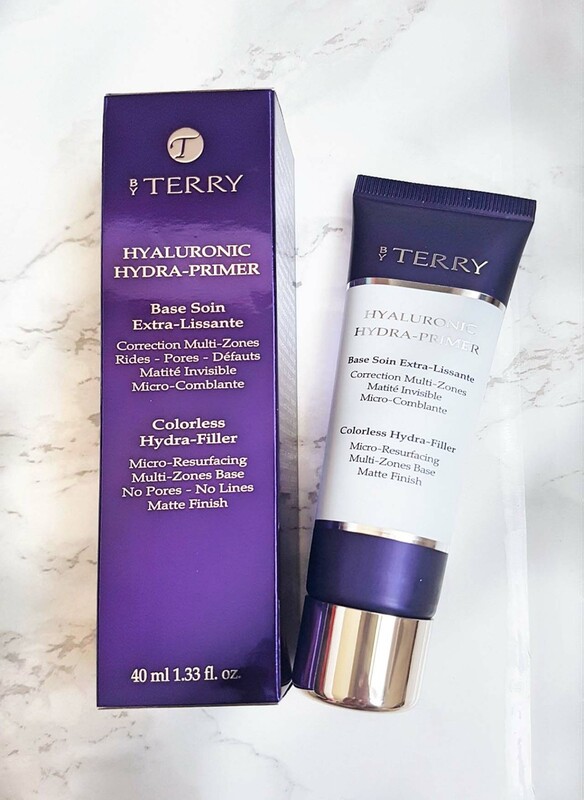 It is designed to colour correct, brighten and hydrate the skin. It can be won alone, under foundation or mixed with foundation! I prefer the latter so that my base has a lovely glow. It contains vitamin E and white rose cells and smells amazing! A little goes a long way as it is a loose fluid so it will last a long time! This is a brand I had heard a lot about but never tried. It was created in 1997 by Dr Nicholas Perricone, a certified Dermatologist, world renowned healthy aging expert, award winning inventor, educator and philanthropist. His vision started with his research to find ways to help prevent and reverse the negative effects of chronic and sub-clinical inflammation, which he asserted was the cause of aging and disease. This led to his three-tiered approach to healthy aging and beautiful skin, offering targeted nutritional supplements and powerful clinical skincare formulations that treat the underlying causes of aging, resulting in soft, radiant, younger looking skin. His products are cruelty and paraben free. 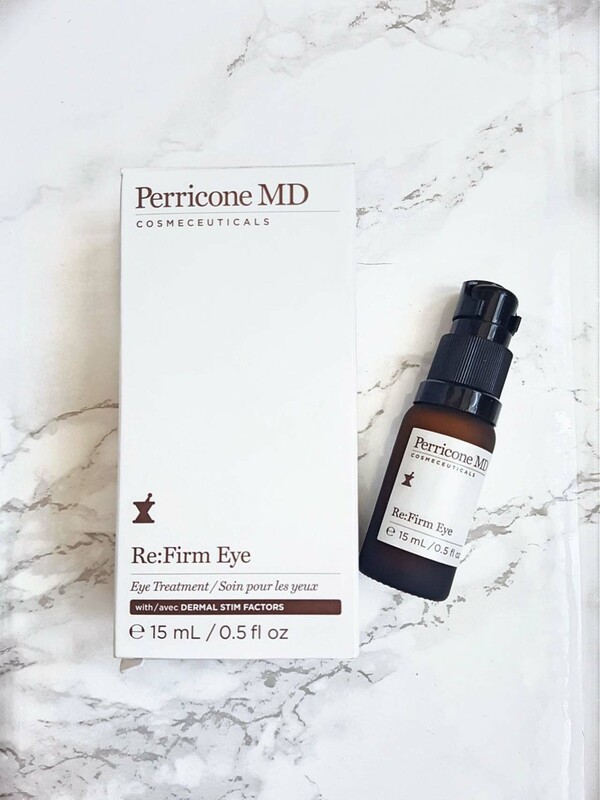 The product that I was particularly keen to test was the Re: Firm Eye treatment! I am always looking for good eye products to ensure my eye area is hydrated and looked after as I age. This treatment had lots of positive reviews so I decided to test it! This is not a cheap product! It is close to £100 for a 15ml bottle. That being said, it should last a long time as you don’t need to use much to cover both eyes. It is an intense eye serum designed to improve the elasticity of the eye skin whilst also keeping puffiness at bay and diminishing fine lines and wrinkles. It also promises to tone the area to give a tighter more youthful appearance. 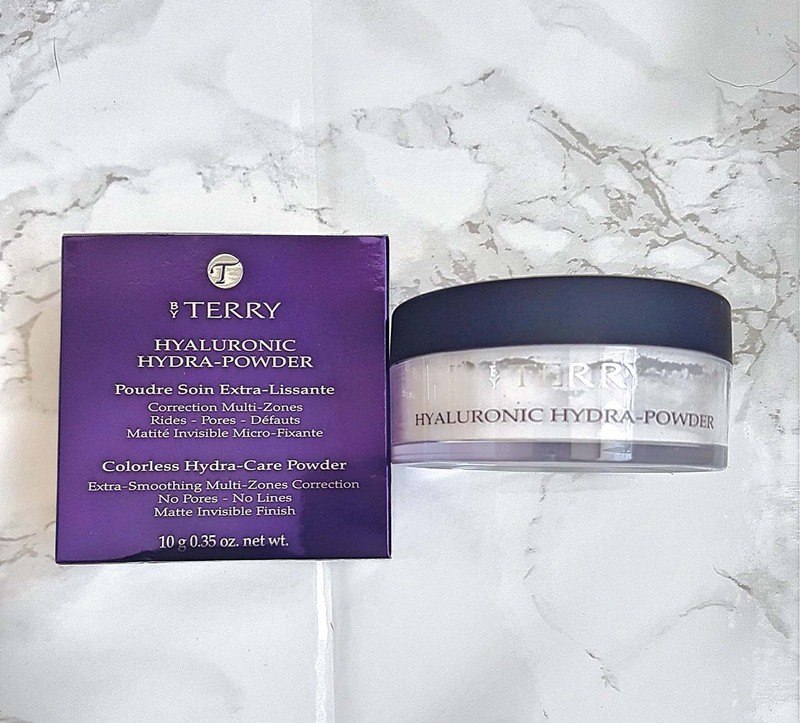 I have used it a few times, generally at night, and I have to say it does hydrate the skin beautifully and there is a noticeable difference to my under-eye area. The serum itself is white and a cross between a gel and a lotion. It absorbs into the skin well and lasts for ages! It can be used alone or with an eye cream over the top for an extra hit of moisture. Ideally it should be used twice a day, but I prefer to use it more at night when my eyes are at rest and the product can really soak in. Whilst it is on the pricier side, so far it is worth the money! If you’re a beauty fanatic like me then you will have heard of It Cosmetics! It was created by Jamie Kern Lima and first showcased on QVC! Her aim was to provide quality products with the help of plastic surgeons to tackle the typical skin care problems that women face on a regular basis. As her brand grew, she won awards and gained a huge following, and now the brand is massive. It has expanded into makeup and brushes and everything is cruelty free. It also supports and donates to cancer charities. 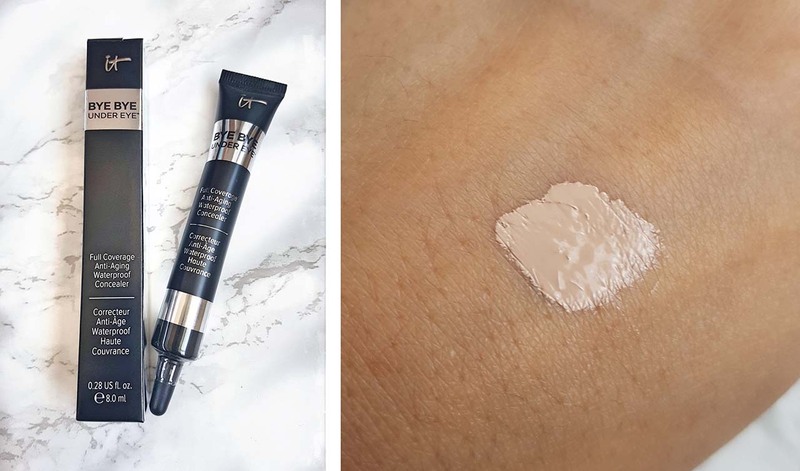 The product I decided to test was the Bye Bye Undereye Full Coverage Anti-Ageing concealer. 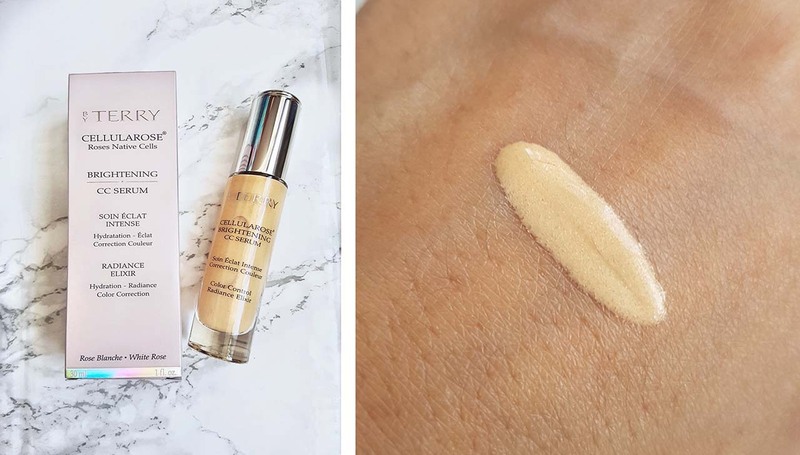 I love testing concealers to see which truly work without creasing so when I heard that the It Cosmetics concealer is famous for not creasing, I had to test it! Firstly, this concealer is very thick! You only need the tiniest amount and it will cover both eye areas. It smooths and blends surprisingly well despite its consistency and also brightens the area. It is full-coverage and very pigmented, containing anti-aging peptides, vitamins, antioxidants, hydrolyzed collagen and hyaluronic acid. And, as promised, it barely creases! I won’t say there are no creases at all, as I could see a trace of creasing after application and setting, but it is definitely one of the best anti-crease concealers I have used. If you have not tried it, I recommend you do! Natasha Denona is an internationally renowned makeup artist. Her makeup is some of the highest quality I have ever used! She launched her career in makeup in 1996, soon gaining many followers and enthusiasts worldwide, and awards for best makeup artist of the year. In 2002 she established the Natasha Denona Makeup Academy in Tel Aviv, where she teaches her ground-breaking concepts and methods to the next generation of professional makeup artists. Natasha then went on to develop the Natasha Denona Makeup Line that we all know and love! Her products are second to none in quality and ease of use and are cruelty free. Every time she releases something new it is sold out for months! I already own one of her eyeshadow palettes so I knew the makeup was amazing. So, when she brought out her Body Glow product I had to see if it was as great as her makeup! The Body Glow is designed to give the skin a healthy glow without any glitter. It comes in 3 shades, Light, Medium and Dark – I bought Medium. It’s a richly coloured liquid which glides over the skin easily and absorbs within seconds. It doesn’t dry the skin and surprisingly there was little transference from skin to clothing! After application, my skin had a subtle sheen and natural bronzed appearance which lasted all day! If you want to have a healthy skin tone without going as far as tanning products this is worth trying. You also don’t need massive amounts to cover your whole body so it will last a little while! Previous PostThe Subculture Palette by ABH – Why All The Controversy?